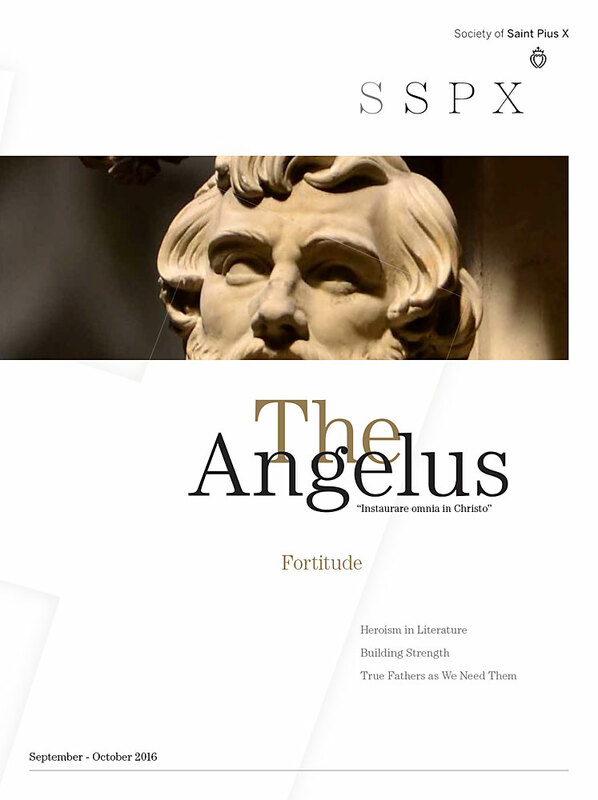 May the contributions in this issue of The Angelus enlighten us on the virtue of Fortitude and instill in us the noble wish to follow Christ's example. The virtue of Fortitude in the life of Archbishop Marcel Lefebvre. Courageous sacrifice as the literary bond between the ancient and modern worlds. Instilling fortitude, courage, and discipline at Notre Dame de La Salette Boys Academy. On the role of Fortitude in the vocation of Catholic fatherhood. A historical and liturgical meditation on the Feast of the Exaltation of the Holy Cross. Extracts from Alexander Solzhenitsyn’s 1978 Harvard Commencement Address, "A World Split Apart." On the life and heroic example of Fr. Henri Le Floch, teacher of Archbishop Lefebvre. St. Louis de Montfort, a saint of great character, missionary zeal, and devotion to the Blessed Virgin Mary. How do we endure the trials and sorrows with Fortitude in this vale of tears? A reflection on the Cathedral of Notre-Dame du Puy-en-Velay. Gian Pietro Carafa (Pope Paul IV) as a courageous confessor for Church renewal in a time of great corruption. How can Catholics effectively form the consciences of their children? A review of The Awakening of Miss Prim by Natalia Sanmartin Fenollera. Can a priest require a child to perform apostolic or social work before receiving the sacrament of Confirmation? Is the administration of Extreme Unction valid if the priest does not anoint the hands and feet? Should one always announce a mystery when one announces a decade of the rosary for a special intention? Fortitude as an indispensible virtue for overcoming liberalism and rebuilding Christendom. Not fear, but charity, must reign in our hearts and lives.